POLYCASA is a brand of acrylic sheets manufactured by a member of the POLYCASA group. As the main representative of the manufacturer, we offer the full product range. All the POLYCASA sheets are available in standard manufacturer colors. Colors remain unchanged regardless of the sheets’ thickness. On request, any given color can be produced. All the offered products have Technical Approvals and the CE mark for transparent panels ready to be embedded in structural poles. – Thermoforming of sheets – sheet bending process aimed at obtaining any given sheet shape depending on the project’s requirements. The minimum bending radius of a sheet, pursuant to the Technical Approval for acrylic glass, is 330 times the thickness of the sheet. 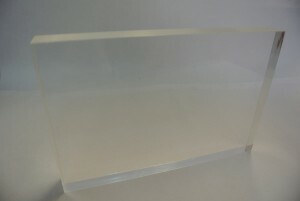 In the case of thermoforming, it is possible to obtain any given shape for any given sheet size. – „Anti-graffiti” – uni- or bilateral coating applied to the surface of the sheets. The coating prevents permanent binding of paint particles with the sheet’s surface, which significantly facilitates washing off of any impurities caused by pressure devices.